Meiji Jingu Stadium holds a special place in the hearts of Tokyoites. Constructed in 1926, the 37,000 capacity arena is home to the Tokyo Yakult Swallows—the more humble counterpart to the flashy Tokyo Giants in their big shiny dome across town. Despite the rise of soccer, the historical claim of sumo, and the obsession with figure skating, baseball is still Japan’s national sport. Now if you’re wondering how Japanese baseball compares to Major League Baseball, then you can keep on wondering. 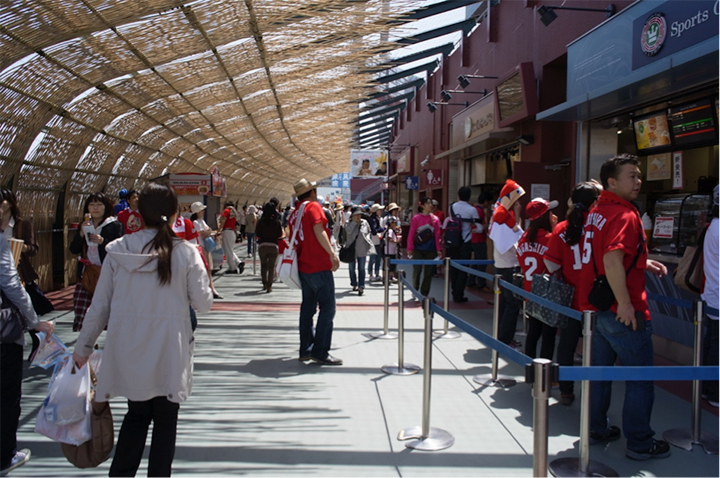 If you are baseball fan visiting Tokyo, why not try watching a game at the Meiji Jingu Stadium? Cheap tickets, clean toilets, amazing fans…what else? Three hours of topflight professional sport and entertainment in a historical stadium smack bang in the middle of Tokyo, with food, beer and clean toilets and it costs you less than a movie ticket to get in. And if you are expecting to be entertained by what’s happening on the field, well that’s only half the equation. Japanese baseball fans are unique—not even J-League football fans compare. The orchestration, organization and precision of team chants are almost spooky. 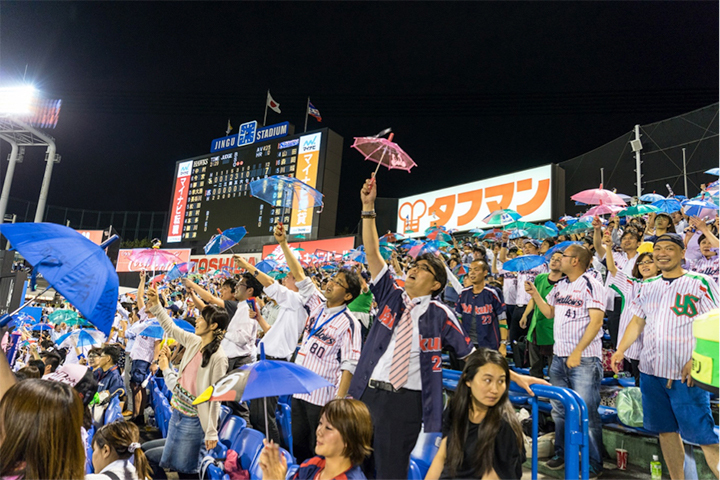 The way fans of the Tokyo Yakult Swallows cheer for their team is to open their umbrellas and sing a song. The idea came from a fan who suggested that everyone uses something they have at home to cheer for the team. If you’re positioned opposite the home fans you’ll also be able observe this unusual ritual of waving clear plastic umbrellas when a batter gets a hit. The cheapest outfield (外野) non-reserved seats are only 1,300 yen for adults and 500 yen for elementary school aged children. Even for the most expensive“special reserved seats” behind the home plate, the price is only 5,000 yen. If it matters to you, you should be aware that if you are sitting in the left outfield seats you will be among the visiting supporters. 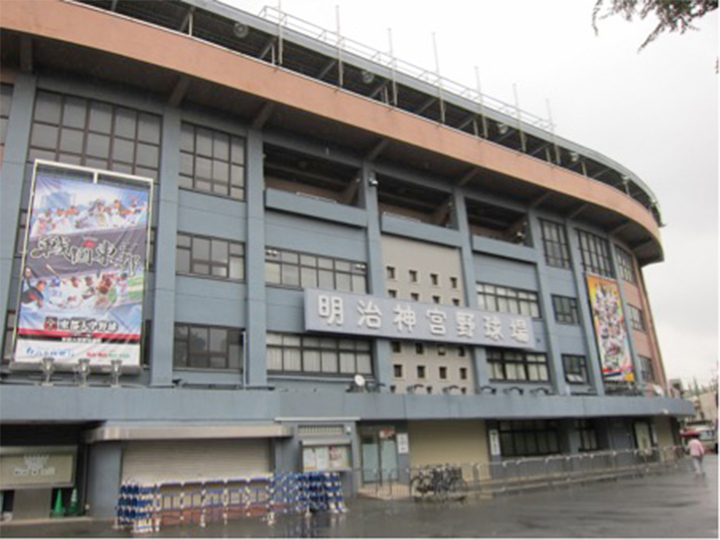 The right side of the stadium seems to be where the Swallows supporters congregate. If you want to be sure of getting your tickets in advance, you can purchase them at pretty much any convenience store you choose. If you don’t read Japanese, using the ticket vending machines will be impossible without some help. If you must have your tickets in advance and the Japanese is just too much, Voyagin can help although prices may be a little higher than the outfield tickets available at the gate. You can also purchase the tickets on the day of the game itself from the ticket box located next to Gate 9. It definitely is a gamble, but if you are tight on cash and out of time, this is a good option. Ticket Price: As low as ¥1300 (Adult) / ¥500 (Children), depending on “Game Category” and the type of seat that you prefer. Game day: 11am – 20min after the end of game. Compared to pro-sport elsewhere, these prices are outstanding. By way of comparison, the cheapest ticket for a J1-League match, for example, Gamba Osaka at the Panasonic Stadium Suita, would cost you the equivalent of 3,000 yen. The price of food too, is reasonably priced, and in addition, the food choices are incredible — pizza, noodles, chicken, hot dogs and many more.